Happy Friday! These two lists have been among my favorite of the month. 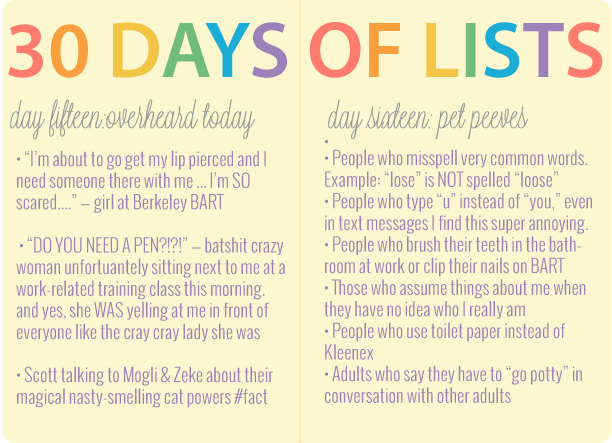 I can't say I'm surprised that I ran out of room while writing down my pet peeves, ahem.